Originating from a town just a little east of Saratoga county, NY, this show was very much a homecoming for Phantogram. A sold out, mixed crowd, displayed a hearty welcome to Josh Carter and Sarah Barthel, in anticipation for what was assured to be a fantastic light display married with the many talents of the vocal duo. Bringing to the stage their signature electro rock, and “dream pop,” the charge given was equally met by that returned from the crowd. Blue lights, smoke machines and strobe lights made for a fantastic ambience into which spacey keyboards, echoes and breathy vocal reached out like tendrils and grabbed all in attendance, and whisked each away on a cosmic journey of the mind. “Same old blues” received an overwhelming response from the crowd, which carried over into their performance of “Answer”. Fan appreciation was ever present throughout, and even when the mood shifted to a somber, reverent one during “Barking Dog”, one of their many encore songs. There was clearly a collective sharing of the raw emotion, of this powerfully moving homage to a recently lost family member. Phantogram’s encore selections included “Cruel World,” and then “You don’t get me High Anymore.” One thing noted was that there was a continuation of, with not an ounce of lessening, the charge in the crowd, that was superbly created from the start and sustained greatly throughout the entire set. 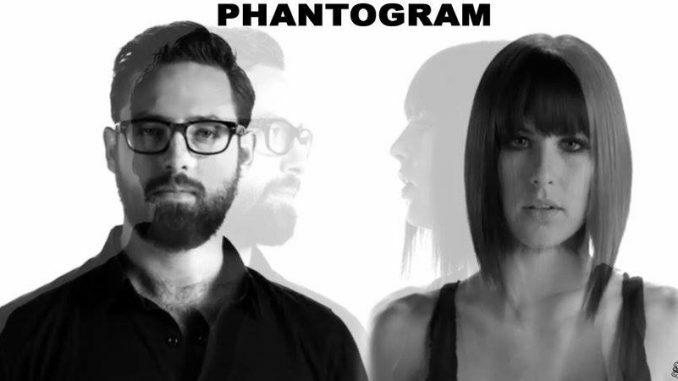 Showing the talent they possess equally in creating great higher tempo songs, as well as those that are more mellow, one quickly embraces the chance to allow Phantogram to take hold and lead you on a journey of the mind and emotion. Attributing success to “having each other” and mutual love of music, Josh and Sarah show quite well, the ease with which, a vocal duo powerhouse, can not only fill a venue but also blow the roof off. Having personally walked away with an increased affinity and fandom for Phantogram, I very much recommend catching an upcoming show near you. Welcome home Josh and Sarah, and much continued success to you both!